Figment POS is a cloud-based point-of-sale solution built to cater to the POS needs and requirements of various business types, including coffee shops, retail stores, restaurants, bookshops, spas and gyms, bakeries, cinemas, laundry services, and more. The software is designed to streamline the check out and payment process so users can concentrate on satisfying their customers and growing their business. It offers complete customization to enable optimum efficiency as well as flexibility to meet changing business needs. Users can choose from a selection of POS products that are equipped with features and functionalities based on the nature of their business (Coffee Shop POS, Bakery POS, Bookshop POS, etc.). This setup instantly gives them with the majority of the tools they need without having to require additional software and hardware. Figment POS comes with a comprehensive set of inventory management capabilities and sales report tools to help users track and move their stocks, identify quick-moving products and services, customer demands and trends among others. Figment POS is not just another run-of-the-mill point of sale software poised to make a short appearance in the POS market. It is a feature-packed platform that can deliver all that you need or demand from a point of sale system and more. Every business has its own set of unique and specific business requirements and adheres to separate industry standards and policies. With Figment POS, you never have to worry about picking the right set of POS features and functionalities because all you have to do is pick one that suits your business best. Figment POS offers a variety of POS packages that come with a specific set of tools to match your business needs. If you are running a bakery, you can choose the Figment Bakery POS package or the Retail Store POS package if your manning a retail store. While Figment POS is a cloud-based system, it offers a plethora of the leading POS hardware to give your POS tasks a huge boost. You can load up your POS package with thermal printers, mobile point-of-sale barcode scanners, and high-end cash drawers designed to easily link with POS printers. Whatever hardware you need, Figment POS has got you covered. What Problems Will Figment POS Solve? Figment POS offers the simplest and easiest system to help users manage their business, mainly by speeding up their transactions so they can save time and increase the revenue. Each organization has different requirements and needs an application that can be customized for their size, type of employees and clients, and the particular industry they are in. For these reasons, no platform can provide perfect features off-the-shelf. When you search a software product, first be sure what you need it for. Read some Figment POS reviews and ask yourself do you want basic functionality or do you require advanced functionality? Are there any industry-specific tools that you are seeking? Obtain the answers to these queries to help your search. There are lots of aspects that you need to reflect on and these include your budget, specific business needs, your organization size, integration needs etc. Take your time, use a few free trials, and finally select the app that provides all that you need to boost your company efficiency and productivity. How Much Does Figment POS Cost? Figment POS offers a simple basic/enterprise pricing scheme. We realize that when you make a decision to buy POS Software it’s important not only to see how experts evaluate it in their reviews, but also to find out if the real people and companies that buy it are actually satisfied with the product. That’s why we’ve created our behavior-based Customer Satisfaction Algorithm™ that gathers customer reviews, comments and Figment POS reviews across a wide range of social media sites. The data is then presented in an easy to digest form showing how many people had positive and negative experience with Figment POS. With that information at hand you should be equipped to make an informed buying decision that you won’t regret. Figment POS is an advanced, convneient, affordable system that has helped me save time and energy. What are Figment POS pricing details? What integrations are available for Figment POS? Pros: For our retail clothing business, we have been using Figment POS in our shop to manage inventory and run in-store sales. The integrations we rely on Xero for accounting. 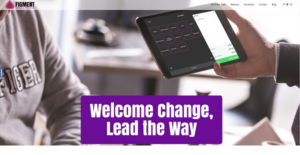 Figment POS has been a generally pleasant experience and they have improved the POS platform tremendously over the course of the past year and continue to do so. The Figment web-based UI allows us to add and manage products with relative ease. Figment is a flexible POS solution that is used by foodservice, retail, and all kinds of industries. Their variant setup is flexible enough to handle different types of products. The reporting suite is fantastic and allows us to analyze actionable data to make good decisions. Cons: There have been some bugs and issues, but their support did fixed them. If you need more information about Figment POS or you simply have a question let us know what you need and we’ll forward your request directly to the vendor.